R-160A train near Bay Parkway (22nd Avenue) on the BMT Culver Line. Photo by David Tropiansky, May 2012. Andrew R. Culver (1832-1906), the man for whom the line was named, wanted to create a one seat ride from downtown Brooklyn to Coney Island, and to this end founded the railroad known as the Prospect Park and Coney Island (PP&CI). Operated with steam engines, this at-grade railroad began service on June 19th, 1875 between Prospect Park (at 9th Ave. and 20th Street) and Gravesend Avenue and Neck Road. On July 27th of the same year, the steam line reached Cable's Hotel (later known as the Ocean View) in the West Brighton section of Coney Island at Culver Terminal, the predecessor to today's Stillwell Avenue (its original location was on the surface at Surf Avenue and West 5th Street approximately where the Brightwater Towers stand today). In 1879, the railroad leased the New York and Coney Island Railroad, and service began between Culver Terminal and Norton's Point, the very westernmost tip of Coney Island. Connections to steamboats to/from New York City were made at Norton's Point. Andrew Culver's plans to extend the railroad to downtown Brooklyn ended with his poor health, and he sold the PP&CI to the Long Island Rail Road in 1893. The PP&CI was electrified in 1899; LIRR steam passenger service ended at this time and some of the BRT surface lines started using the PP&CI for through service to Coney Island. LIRR operation continued until the Brooklyn Rapid Transit Co. was reorganized into the Brooklyn-Manhattan Transit Co. The BRT leased the PP&CI and operated it directly until 1912, when control was passed to the South Brooklyn Railway, a BMT subsidiary. In 1919, the current elevated structure was built over the South Brooklyn Railway right-of-way between 36th and 37th Streets from approximately 10th Ave. to McDonald Ave, and over McDonald Avenue from approximately Ditmas Ave. to Kings Highway, and then later to Avenue X. 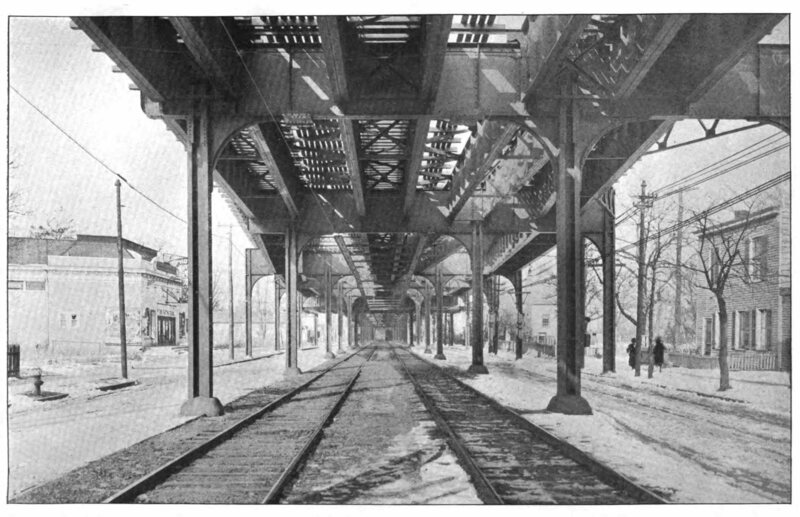 By 1920, this elevated structure was extended to the present-day connection with the Brighton Line at West 8th Street, thus finally achieving Andrew Culver's goal for the PP&CI. Service was run via the BRT 5th Avenue El into downtown Brooklyn. Subway service via 4th Avenue (Brooklyn) to Chambers St began in May, 1931. In non-rush hours, 5th Ave. El trains terminated at 9th Ave. and the 4th Ave. Subway trains ran to Coney Island. In rush hours, 5th Ave. El trains ran local to Coney Island, and the subway trains ran only to Kings Highway due to a shortage of steel subway cars. (As a result of the Malbone Street BRT disaster of November 1st, 1918, wooden cars were not permitted to run in the subway). The rush hour subway trains ran local in the peak direction (inbound AM, outbound PM), and in the off-peak direction, ran non-stop from Kings Highway to 9th Ave. via the express track. After the 5th Ave. El was torn down in 1940, rush hour subway trains still terminated at Kings Highway, and local/shuttle service using wooden El cars ran rush hours from 9th Ave. to Coney Island. However, during this period, the subway trains ran express in the peak direction, stopping at 18th Ave., and local in the off-peak direction. This service continued until the D train was through routed in 1954. On October 30th, 1954, a connection was made from south of the IND Church Avenue subway station, and the portion of the Culver El south of Ditmas Ave. was transferred to the IND division, eliminating the connection of BMT trains from 9th Avenue. IND "D" trains began running from 205th St and the Grand Boulevard & Concourse to Coney Island via 6th Avenue (Manhattan) and the IND Crosstown/Jay-Smith Street subway. The BMT Division continued service between Ditmas Ave. and Chambers Street, but in 1959, this service was cut back to a shuttle between Ditmas Avenue and 9th Avenue using the Coney Island-bound track. The Ditmas Ave. station was later "enhanced" with a 4th track on the Coney Island-bound side to allow the Shuttle to terminate with a cross-platform transfer to Coney Island-bound IND subway trains. The shuttle ran until May 11th, 1975 and was replaced with free transfers to the B-35 bus that ran along 39th Street. The structure between Ditmas Ave. and 9th Avenue was torn down in the late 1980's and the free transfer to the B-35 bus was eliminated in the early '90s. (However, the MetroCard fare collection system once again offers a free bus transfer.) The back of the southbound Ditmas Ave. canopy was "filled in" with the MTA-standard corrugated steel windscreen wall and only a glimpse of the fourth track structure is visible from the front, rear, or below the station remains. Photos of the Demolition of the Culver Shuttle are available. On November 26th, 1967, as part of the opening of the Chrystie Street connection, D service was rerouted in Brooklyn over the Manhattan Bridge and down the Brighton Line. F service replaced D service between West 4th St, Manhattan and Coney Island via Smith/9th Street (the IND South Brooklyn Line) and the Culver El. The name "Culver" persists to this day; the R46-type trains that serve the line indicate that the F train is a "Culver Lcl / Queens Express". Service patterns over this stretch of El varied through the years; however, a constant that ran into the 1980s was that trains terminating at Kings Highway ran local on the Culver El during rush hours and trains terminating at Coney Island ran express between 18th Ave. and Kings Highway during rush hours, a practice dating back to the 5th Ave. El and the lack of enough steel subway cars for the 4th Avenue subway! In the early 1990s, the double crossover just south of Kings Highway enabling trains from Coney Island to switch to the express track was removed and now all F trains now run local on the Culver line. Some trains still terminate at Kings Highway in the evening rush hour. Beneath the Culver El, PCC cars ran on McDonald Ave. until October 31st, 1956. The South Brooklyn Railway continued freight operations along the line into the '70s. These trolley tracks were used to deliver new subway car equipment to the Coney Island Yards through and including the R-44 order. In the early '80s, McDonald Ave was reconstructed with a new concrete base, yet the trolley tracks of the South Brooklyn Railway remained intact. In the late-80s, the trolley tracks were paved over and the connection to the Bay Ridge Line was severed. The section of the SBK between 37th and 38th Streets still has some evidence of the right of way in the avenues that cross it in the form of visible railway tracks and faded railroad crossing paint here and there, but this right of way is now giving way to a row of new townhouses and condos along. Some of the ROW is used by an auto-salvage company and a gas station. The concrete ramp from the elevated structure into the lower level of 9th Avenue still remains nearby the corner of 38th St. and 10th Avenue (visible from 37th Street), but the tracks are long gone. The Culver Line, although not by this name, is referred to in a Bob Dylan song from 1966. In the song "Visions Of Johanna" from the album "Blonde On Blonde," the lyric is: "And the all night girls they whisper of escapades out on the "D" train." He could have been referring to escapades at Coney Island, and the D train did use the Culver Line until 1967. The structure from 9th Avenue is a short tunnel that now leads out into the 36th St yard as a wye enabling trains to reverse into the yard. The former BMT ramp to the Culver Elevated is a concrete structure, but not much can be seen given its current use as a dumping area for an auto-salvage operation. The El from Ft Hamilton Pkwy to Ditmas Ave. was torn down in the 1980s but was a typical BMT era 3-track El with side platforms and a center express track, built similarly to that of the Astoria line in Queens. Ninth Avenue had a lower level which was used for the Culver line and shuttle. Ditmas Ave. is the standard 3-track station with side platforms. The southbound platform used to be the terminus for the Culver Shuttle, which terminated on the outermost track, giving the platform the feel of an island platform. The back of this platform used to be open until the early '90s, when the canopy was rehabilitated and the steel walls erected. Looking up from the street, evidence of where this shuttle once stopped can be seen. Track Map of the Culver Shuttle, 1975. 18th Avenue and Kings Highway have center-island express platforms between the single center express track and the outer local tracks. Neptune Avenue is an island platform. All other stations are local-only stations with side platforms. 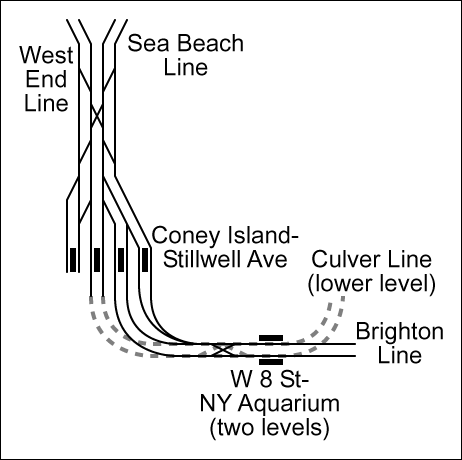 Stillwell Avenue has center island platforms, one each for B (West End) approaching from the north, F (Culver) and D (Brighton) approaching from the east, and N (Sea Beach) trains approaching from the north. The El structure between Ditmas Avenue and Avenue X is the standard Dual Contracts variety found on most Brooklyn and Bronx elevated lines, containing a center express track and solid girders. The El structure between Ave. X and Neptune Ave. is a two track El structure that is unique to the entire system, with "X" (lattice) type support girders instead of solid steel. It is similar to the old Fulton El. This is a three-track elevated line. It begins at a point near Tenth avenue and 37th street in the Borough of Brooklyn, where it connects to a spur from Fourth avenue. It continues thence along private property south of 37th street into Gravesend [McDonald] avenue, and thence over Gravesend [McDonald] avenue to Coney Island. This route is known as Route No. 49, and is divided into four sections, Nos. 1-A, 1, 2 and 3. Route No. 49, Section No. 1-A. — This is a short section beginning at a point at the west building line of Tenth avenue between 37th and 38th streets, in the Borough of Brooklyn, extending thence, between retaining walls in open cut and on fill over Tenth avenue and private property, to a point on private property about 370 feet east of the east building line of Tenth avenue, where the retaining walls end in an abutment. Bids received November 29, 1916. Contract awarded to Thomas Dwyer. Route No. 49, Section No. 1. — This section begins in private property on the south side of 37th street at the abutment of Section No. 1-A, east of Tenth avenue in the Borough of Brooklyn, and continues thence, over private property parallel to 37th street, to Gravesend avenue, and thence southerly over Gravesend avenue to a point south of Twenty-second avenue produced. Post & McCord, Inc., contractor. Date of contract, September 8, 1915. Contract period, 15 months. Summary of contractor's bid, $877,959. This contract involves shifting laterally the tracks of the South Brooklyn Railway, and a rearrangement of the sidings to accommodate the revised location and the elevated structure. The plans provide for an express station at Eighteenth avenue, and for five local stations. Three of the stations are on a 5 per cent grade. Four of the stations have two mezzanines each, one at each end. Route No. 49, Section No. 2. — This section begins at a point in Gravesend avenue, in the Borough of Brooklyn, south of the intersection of Twenty-second avenue produced, and extends thence southerly over and along Gravesend avenue to a point near Avenue X. Oscar Daniels Company, contractor. Date of contract, July 10, 1915. Contract period, 18 months. Summaiy of contractor's bid, $863,775. The plans provide for an express station at Kings Highway, and for four local stations. One of the stations is on a 5 per cent grade. Four of the stations have two mezzanines each, one at each end. Route No. 49, Section No. 3, Connection to Coney Island Terminal. — Contract No. 4 provided that the construction of Route No. 39, Section No. 2, over Stillwell avenue between Avenue Y and Surf avenue and the construciton of Section No. 2 of Route No. 49 from Avenue X to Surf avenue could be temporarily suspended if the New York Municipal Railway Corporation provided access for those lines to their Coney Island terminal over the existing right of way. The company has not availed itself of this option for Route No. 49 in its entirety. This section will provide the connection to the Coney Island terminal. It begins at a point in Shell road south of Avenue X, and extends thence southerly over and along Shell road and West 6th street to a point near Sheepshead Bay road, from which point an extension is to be made over private property to connect to the Coney Island terminal of the New York Municipal Railway lines. Section No. 3 is to be advertised for bids and constructed by the City, while the above-mentioned extension is to be constructed by the New York Municipal Railway Corporation. The plans provide for a local station centered on Neptune Avenue, north, having an island platform and a single mezzanine at the center. For the time being the express track is to terminate at a point about 300 feet south of Avenue Z where it connects to the local tracks. It is the intention to install the express track from this point southward at some future time. Provisions have been made in the plans for a possible installation of this portion of the express tracks which is to climb up and pass over the island platforms at Neptune Avenue station and thence down again to the lower track level, connecting with the local tracks at some point between Sheepshead Bay road and the Coney Island terminal. The topography along the route is such as to require special consideration in the design of the structure. The route as planned will cross both Coney Island creek in its natural bed and the proposed artificial waterway to be known as Gravesend Ship Canal, which is to be situated about 500 feet to the south of the creek. This makes it necessary to provide a structure to accommodate the existing conditions at the creek and the possible future conditions at the proposed canal. Gravesend Avenue Line. Typical Steel Structure and Approach to Express Station at 18th Avenue. PSC report 1917. Gravesend Avenue Line. View from Inclined Approach Toward 9th Avenue Station. PSC report 1917. Gravesend Avenue Line. Steel Beams and Columns in Course of Erection. PSC report 1917. The stretch of the Culver Line between Neptune Avenue and Avenue X provides a good view of the Coney Island yards. The "museum fleet" is usually stored on the tracks closest to the Culver Line. In addition, some cars ready for scrapping are usually stored on the short tracks adjacent to Shell Road, and these cars can usually be seen very well from the Coney Island-bound Ave. X platform. The approach from Neptune Avenue into West 8th Street and Stillwell Avenue is also fun to watch, except that all the R-46s have full-width cabs and most of the time, they are covered with the back of an advertisement to prevent viewing through the front door. Photo opportunities abound from Avenue X to Stillwell Avenue, as well as along Bay Parkway, just southwest of the Bay Parkway station. A panoramic view is possible at this location because of the unobstructed visibility in the middle of Washington Cemetery! The northern end of the Culver Line has the lower portion of the 9th Ave. - 39th St station, which has been unused in passenger service since May 11th, 1975. However, it is locked and not accessible to railfans. Fan trips sponsored by the New York Transit Museum or other organizations, such as the ERA's Farewell to the R-30 fantrip held in May 1993, occasionally enter this area. The southern portion of the Culver Line has Stillwell Avenue, which offers many varied opportunities for photos and should not be missed. The north end of the station has a pedestrian crossing over all 8 tracks, and the view from the West End side looking north towards Manhattan is the best. Looking south, photos can be taken with the Cyclone rollercoaster or the parachute jump (a New York landmark that used to be part of the 1939-40 World's Fair) in the background. Exit the station at Stillwell Avenue and yet more opportunities are available to you along Stillwell Avenue on the west, Surf Avenue on the South and Neptune Ave. on the north sides of the station. (West End and Sea Beach trains depart in a northerly direction over Neptune Avenue. Culver and Brighton Line trains depart in a southerly, then easterly direction along Surf Avenue). Another excellent place for photos is West 8th Street from the street. Specifically, a perch on the pedestrian bridge leading to the New York Aquarium right over Surf Avenue gives you the opportunity to photograph Brighton Line trains leaving at the top of a double-El structure, and Culver Line trains from the lower level of the structure. In the mid-1980s, the Belt Parkway bridge over Coney Island Creek and the Coney Island Yard was rehabilitated. In order for two-way traffic to be maintained at all times, a temporary roadway and bridge were built adjacent to the current bridge, on the north side. When the structure was complete, the temporary roadway and bridge were dismantled. However, remnants of the temporary roadway leading to the bridge still remain, and this has become another employee entrance into the yard. The portion of the roadway starting from Shell Road until the bridge approach is a public area, and if you get a good angle, many good photos can be obtained through the barbed wire fence protecting the cars stored in the yard. 1878 19 June: Opened as the Prospect Park and Coney Island Railroad. 1878 27 June: Extended to Coney Island. 1879: Leased New York and Coney Island RR, service to Norton's Point. 1893: LIRR ownership begins; BRT leases line from LIRR. 1899: Electrification of surface route. 1900: Through service to Coney Island from 5th Ave. El begins. 1912: Control transferred to South Brooklyn Railway. 1917 30 May: Ocean Parkway-West 8th St. rebuild opens (BRT). 1919 16 Mar: Culver El built to Kings Highway from 9th Avenue. 1919 10 May: Extended to Ave. X from Kings Highway. 1919 29 May: West 8th St.-Stillwell Avenue upper level rebuild opens (BRT). 1920 1 May: El extended to Brighton Line at West 8th Street. 1923: BRT reorganized into BMT. LIRR ownership ends. 1931 May: Service to Chambers Street via 4th Ave. (Brooklyn) subway. 1940: Abandonment of 5th Avenue El. 1954 30 October: IND connection to Ditmas Ave. from Church Ave. opens; connection to 9th Avenue severed. D train begins service from The Bronx. Shuttle trains run between Ditmas Ave. and 9th Avenue. 1967 26 November: Chrystie Street connection opens. F trains replace D trains on Culver El. 1975 11 May: Culver Shuttle service discontinued at 12:01am. Mid-1980s: Shuttle El structure torn down. The Fort Hamilton Parkway was a side platform station along the three-track Culver el. Just past the station northbound the elevated trackways ramped down to ground level. Service ended in 1975 and the structure removed in the 1980s. The 13th Avenue station was a side platform station along the three-track Culver el. Service ended in 1975 and the structure removed in the 1980s. This station currently, and as constructed, has three active tracks and two side platforms. The north exit to Cortelyou Road is a high exit with closed mezzanine of wood. A view through the windows shows a booth inside. The main exit at Ditmas Avenue is to the south and is also wood. The station has full windscreen. A tower is at the south end of the northbound platform. North of the station, the concrete ramp into the IND Church Avenue tunnel was built along with that station (which opened in 1933). The scheme to connect the IND to the Culver line was hatched in the early days of the IND planning as a way to bring the IND to Coney Island. 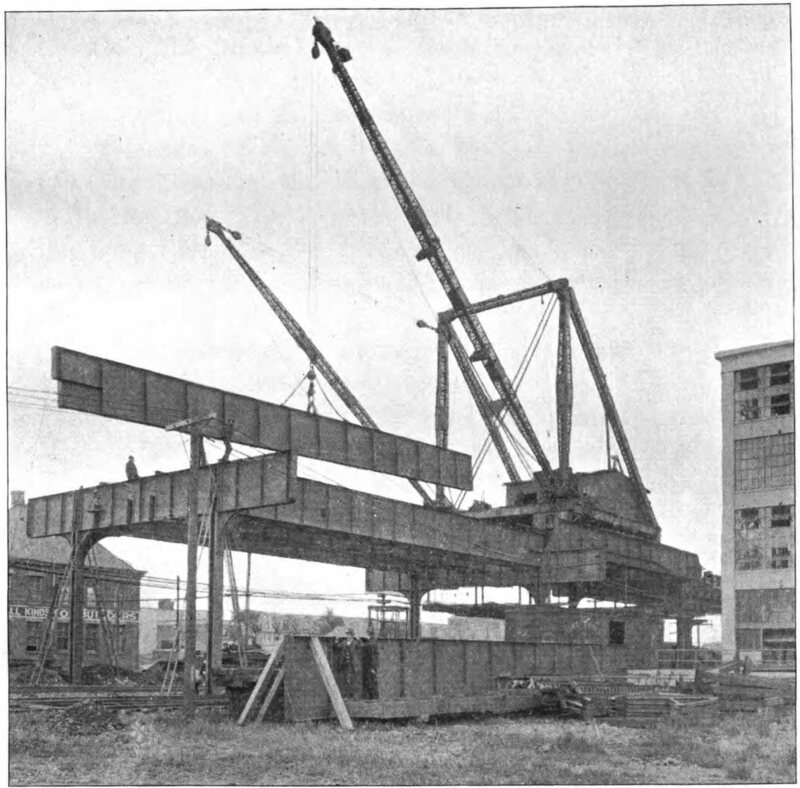 The steel structure to join the IND to the Culver line was started in about 1940 but interrupted by World War II. Work resumed in the early 1950s and completed in 1954. After the IND connection was completed, the west (southbound) platform at Ditmas Avenue was converted to an island platform with a fourth trackway added on the outer side. Picture a track behind what was the outer wall of a classical BMT local elevated station. The wall was removed and the platform finished to allow the shuttle to serve riders here. 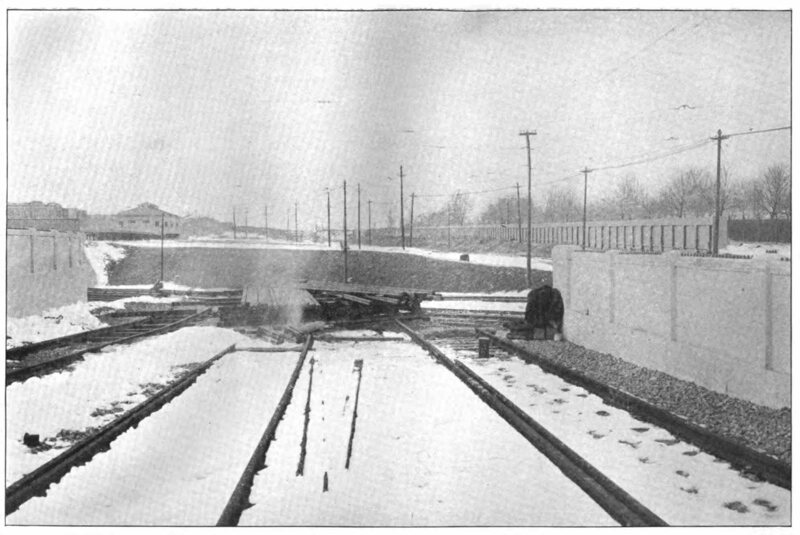 The track ended with a small bumper within the station but the trackway ironwork continued south and merged into the downtown local track. There never was an attachment between the two tracks. Shuttle service was terminated in 1975 with the portion between here and 9th Avenue torn down shortly thereafter. Only the remnants of this additional fourth trackway at Ditmas Avenue remain. An express station with two island platforms. The main exit has a mezzanine with wood and concrete floor, and IND type fare control. There is a closed mezzanine at the south end to Lawrence Avenue. Stairs are metal tread on wood. Evidence of former trackways visible at the north end of the platforms. The main exit is at the north end, which has a wood mezzanine, crossunder, and IND-style fare control grilles. The south exit to Avenue J has a closed mezzanine with booth and heaters and a high exit. There is no windscreen at the north end near the main exit. On the street below are remains of Parkville Junction between the South Brooklyn and Bay Ridge RRs. The ramps between the two are visible between Avenues H and I. Originally named "22nd Avenue/Bay Parkway". Signs at the ends of the platforms still retain the original name. The exit is just north of center and has a wood mezzanine which is well maintained. This station is situated in the middle of Washington Cemetery. Good views of the cemetery are obtained from most parts of the platform. Washington Cemetery is supposedly the largest Hebrew cemetery in the United States. While other burial grounds cite square meters per grave, here we speak of graves per square meter (2 to 3!). The tombstones are literally shoulder to shoulder. Visitors must reach over them to leave the little memorial stones on top of the one they are visiting. The south exit to Avenue N has the same narrowed stairs and evidence of a removed second stair as at Ave. P. The mezzanine is wood and needs some TLC. The north end has a high exit to Avenue M, with a closed mezzanine (but which still has a token booth inside). The stairway has a plywood landing and the mezzanine is wood. Full windscreen along the platforms. Side platforms with exit at the center. Ends of the platforms have railings but no windscreen. The mezzanine is wood with concrete floor. Kings Highway is an express stop with two island platforms. The north stairway to Kings Highway is double wide and leads to the mezzanine, which is wood with concrete floor. The south exit to Avenue S resembles the north exit, and has a token booth and MetroCard iron maidens. Some trains terminate at this station, with the center track being used for terminal operations. 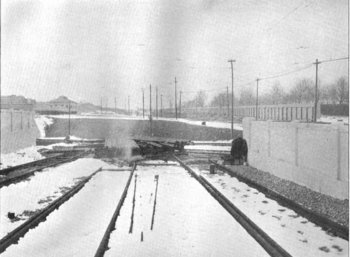 At the north end of the station there is evidence of a former switch track which may have been used for terminal operations; this station served as the terminal for two months after opening in 1919. The main exit to Avenue U is at the south end; a secondary exit at the north end leads to Neck Road. The secondary exit consists only of an iron maiden turnstile on a wood landing. The mezzanine is otherwise sealed off and padlocked. The south exit to Avenue U has the same narrowed stairs as at Avenue X. Examination of the platform and southern mezzanine ceiling reveals a possible removed second stairway to the fare control. Exit is from the north end. The stairs have been narrowed as evidenced by an inspection of the stairs. My theory is that the stairs were at the end of the platform and were narrowed when the platform was lengthened. The mezzanine has a concrete floor but is otherwise made of wood. There is evidence of a possible removed south exit. If it existed, the mezzanine has long since been removed. All stations north of here have at least one crossunder and many have a closed second crossunder. Formerly Van Sicklen Avenue. Opened a year after the rest of the stations along the Culver line, this station is unusual in that it has a single narrow island platform. The exit is in the center via a stairway to the mezzanine; at the landing half way down there is a set of doors. The stairs from the wood mezzanine have metal treads over wood. At West 8th Street, the elevated structure becomes two levels, with the BMT Brighton Line on the upper level and the BMT Culver Line on the lower level. There are exits to West 6th Street (north end), MetroCard entry only; and West 8th Street (south end), with full time station agent booth. The main exit also has a ramp across Surf Avenue to the New York Aquarium. This ramp also had a branch to the upper-level Manhattan-bound platform which is fenced off at the ramp side and plywood on the station platform windscreen. The station had escalators from the upper level to the fare control below the lower level, but they have been removed and the cutouts cemented over. Crossunders are at both ends. Evidence of two removed center exits on both platforms was still present at the time of this writing (1999) but in 2003-2004 the station underwent a total renovation. The upper level has full windscreen along the platforms. The west end of the station affords a nice look at the Coney Island area: the famous Cyclone roller coaster, the Astroland amusement park, and the abandoned Parachute Jump ride, built for the 1939 World's Fair. The aerial picture was taken from Astroland's Astrotower attraction, which affords a good view of the Stillwell Ave. area and the entire stretch of Coney Island beach.